There’s nothing in the coin world like the feel of holding an ancient gold coin in your hand, but unfortunately that’s not something that most will have the opportunity to do. 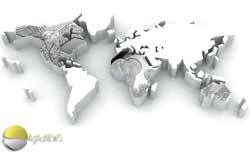 Nevertheless, interest in the market has never been higher with modern commemoratives featuring ancient themes from architecture to gods, many of the coins being amongst the best released to market. There will always be a difference between a themed coin and one that accurately replicates the past, and Coin Invest Trust’s ‘The Coins of the Roman Empire’ fits firmly into the latter category. First launched back in 2009, the coins were released in sets of four at a time, although they’re sold individually. Replicating some of the superb ancient designs struck by the Roman Emperors, the coins wind their way chronologically through the Empire, starting with the first, and perhaps the greatest of them all, Augustus himself. All but four of the coins carry profile portraits of the Emperors, the others depicting events. 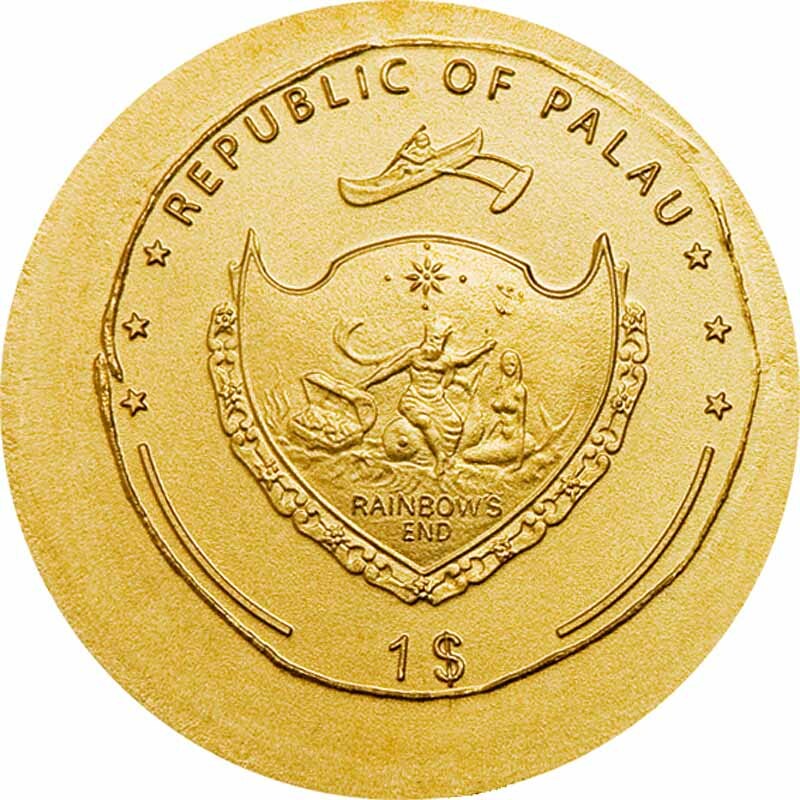 Sadly, they share a common obverse, the shield emblem of the issuing state, Palau. While it would have been nice to see this integrated into the design rather than take centrestage, the fact is that at just 11.8 mm in diameter, there simply isn’t room on the coin, so a necessary compromise. 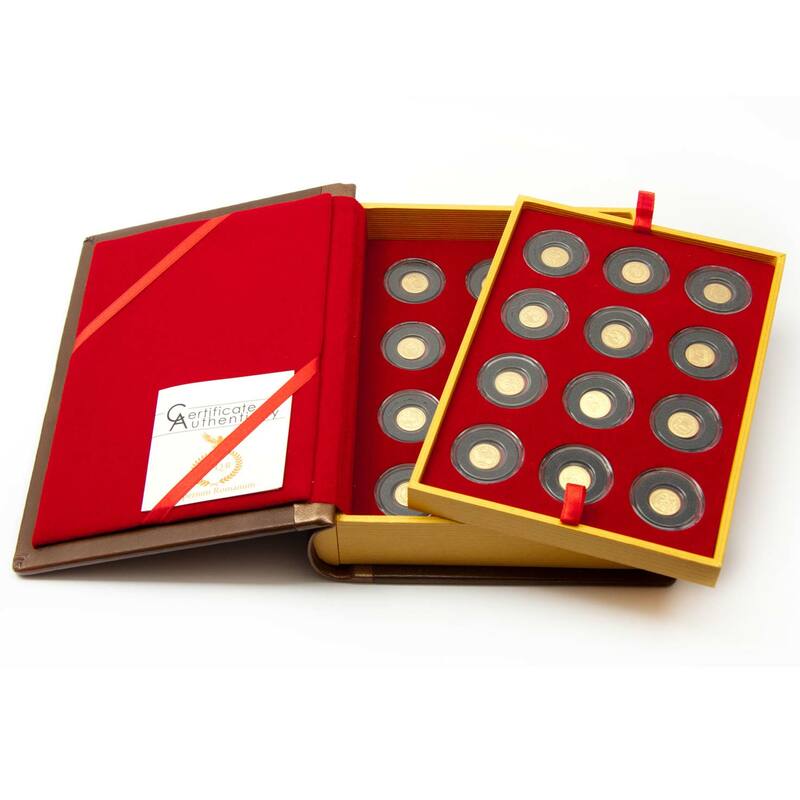 The coins are struck in 0.9999 gold and are just 0.5g each in weight. This allows them to be sold for even less than a 1 oz silver commemorative, an important point when there are 24 coins in the set. Detail levels remain high, although new techniques developed by CIT being applied to the latest coins do surpass these. As the originals were relatively crudely struck anyway, this actually turns into a point in favour. There are some real gems in this collection and it’s a fine set for the history buff. For a future set we’d like to see the hand-struck effect applied to the shape of the coin, much like the Monnaie de Paris’ brilliant From Clovis to Republic series. With CIT now rolling out its ground-breaking SmartMinting technology, we have no doubt that the minigold 0.5g format is in safe hands with the industrys biggest user of the size, one increasing in popularity. With a mintage of 15,000 each, all the coins are still available at the time of writing and well worth a second look. Whether CIT will ever do a set like this again is anybody’s guess, but we hope so, the Greek period having plenty of fine designs, for example. 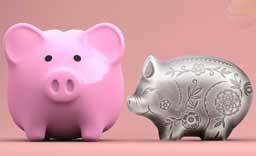 Prices hover around the €40-45 mark. 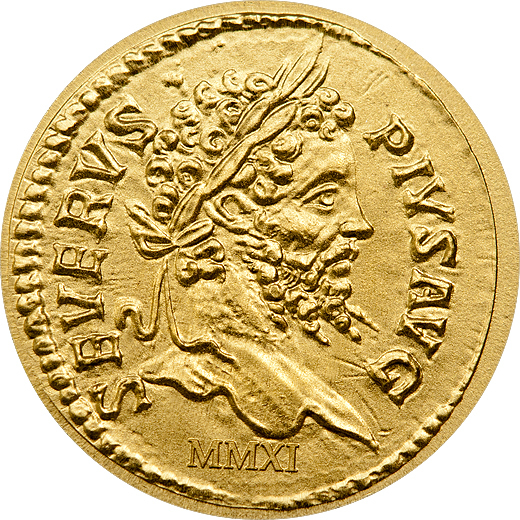 The Aureus was valued at 25 silver denarii and was about the same diameter, but heavier due to the differing densities of gold and silver. Julius Caesar standardised the weight at 1/40th of a Roman pound (8.18g), but as with anything in the financial world, they gradually got smaller and smaller until by the time of the Emperor Constantine, they were replaced by the Solidus in 312 AD, a coin weighing only 4.55 grams. 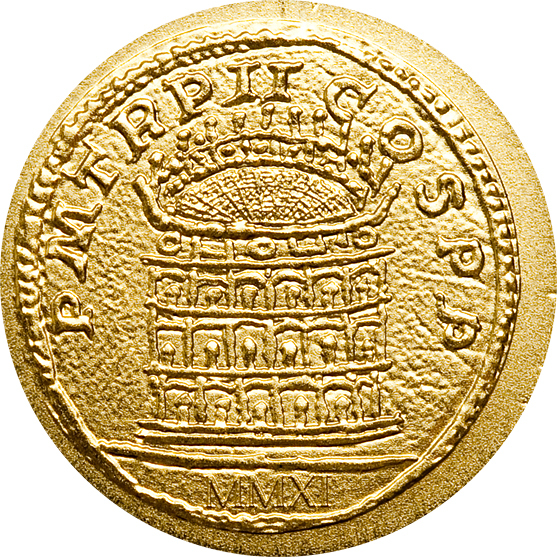 However, regardless of the size or weight of the aureus, the coin’s purity was little affected. 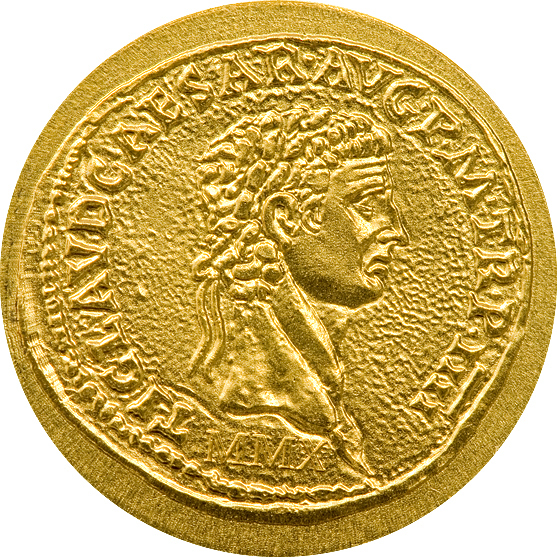 Analysis of the Roman aureus shows the purity level usually to have been near to 24 carat gold in excess of 99%. 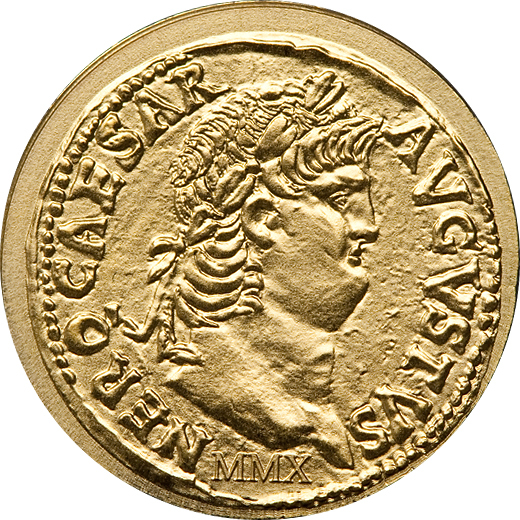 Because the Roman government issued base-metal coinage but refused to take anything but gold or silver coinage in payment for taxes, inflation was rampant, Along with the debasement of the silver denarius which by the mid 3rd century AD was virtually devoid of actual silver, the aureus became worth more and more relatively speaking. 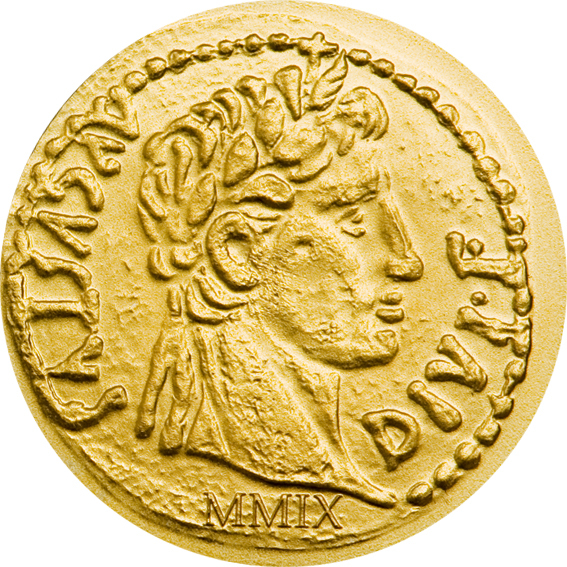 In 301, one gold aureus was worth 833⅓ denarii; by 324, the same aureus was worth 4,350 denarii. In 337, after Constantine converted to the solidus, one solidus was worth 275,000 denarii and finally, by 356, one solidus was worth 4,600,000 denarii. 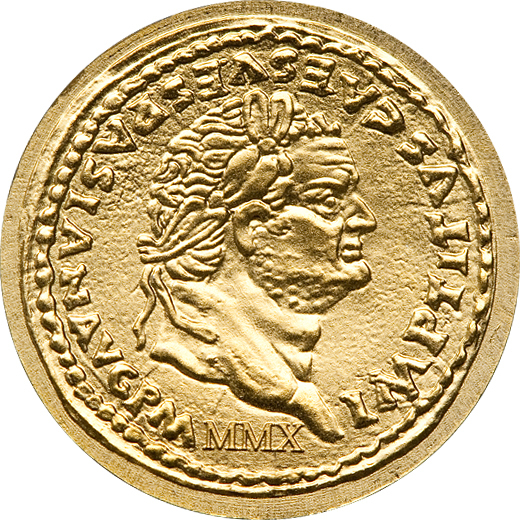 While Constantine was responsible for replacing the aureus with the solidus, the latter was actually introduced by Diocletian in 301 AD, but only in small numbers. 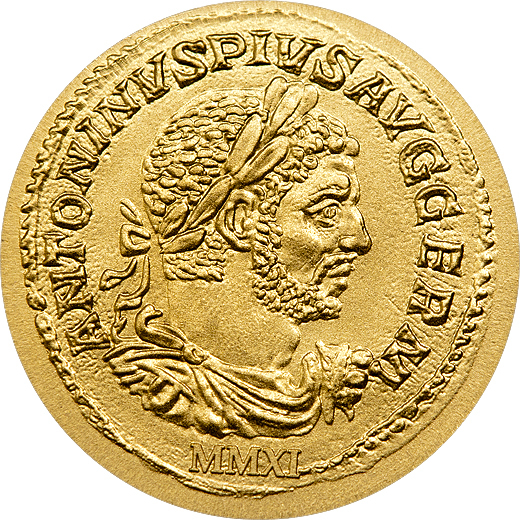 An Aureus with an image of the Emperor Augustus (63 BC – 14 AD) along with the inscription AUGUSTUS DIVI F. (Augustus, son of the Gods). Led by Augustus, exactly 2000 years ago, the memorable Battle of Varus took place by which the Germanic tribes led by Arminius mbushed and destroyed three Roman legions. 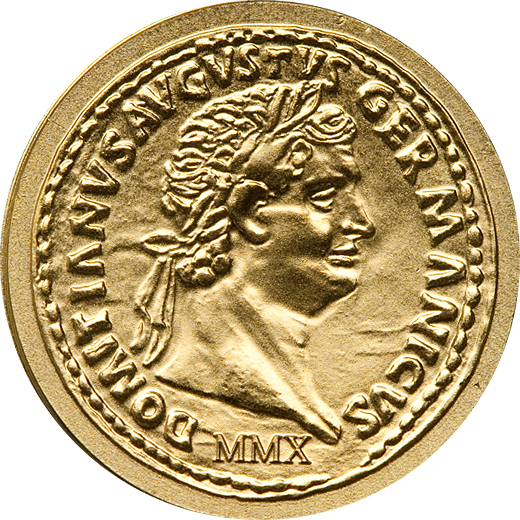 A Dupondius with an image of General Germanicus (15 BC – 19 AD), who inspected the battlefield in Teutoburg Forest in the year 14 and during his crusade with the Germanic tribes, recovered two of the three legions’ eagles, which were lost in the Battle of Teutoburg Forest and brought them back to Rome. A Denarius from Gajus Julius Caesar with the inscription CAESAR IM P M (Caesar Imperator, Pontifex Maximus). Julius Caesar (100 BC – 44 BC) who ended the Roman Republic while making himself a dictator for lifetime. Subsequently he was murdered by a group of senators around Marcus Brutus. The famous Denarius from Brutus minted in memory of the assassination on Caesar. 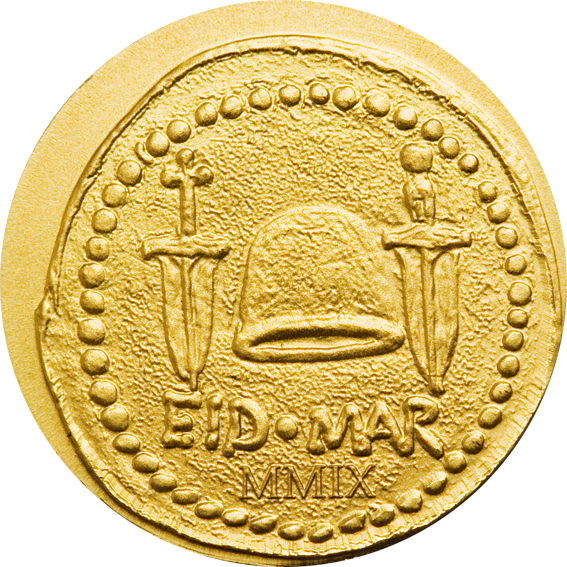 The coin depicts two daggers and a liberty cap, along with the inscription EID MAR. This stands for „Eidibus Martiis“ or „the Ides of March“, thus the date of Caesars assassination in the year 44 BC. 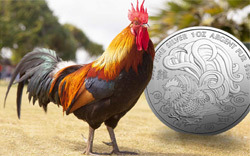 Only about 60 of these silver coins still exist. At auctions they are sold for partly over 100’000 Dollars. The first Roman Didrachme shows the Lupa Romana along with the inscription ROMANO; minted about 269 BC. According to the Roman mythology Rome was founded by Romulus and Remus in the year 751 BC. The twins were exposed in the river Tiber in a wicker basket. Their crying attracted a she-wolf who took both children to her cave and nursed them. Later shepherds found them and brought them up. 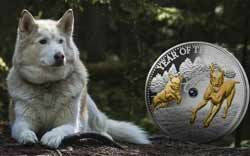 In remembrance to Rome’s foundation, coins with the wolf motive were also minted in the later Roman Imperial Age. An Aureus with the image of Emperor Claudius and the inscription TI CLAVD CAESAR AVG PM TRP IIII (Tiberius Claudius Caesar Augustus Pontifex Maximus Tribunicia Potestate IIII); minted 44/45. Emperor Claudius reigned in 41-54 AD. Britannia was conquered under his regency, whereupon the senate granted him the honorary title „Britannicus“. The Empire underwent its biggest expansion during Claudius’ regency: from the Atlantic to the Black Sea and from Africa until well into today’s Turkey. An Aureus with the image of Emperor Tiberius along with the inscription TI CAESAR DIVI AVG F AVGUSTVS (Tiberius Caesar Augustus, son of the godly Augustus). Emperor Tiberius, who reigned 14-37 AD, succeeded to stabilise the Empire and improve the fi nances. He ended the conquest attempts of the Germanic territory and reinforced borders. He consolidated his political power by systematically eliminating his rivals. During his regency, around the year 30, Jesus Christ was beaten to the cross. 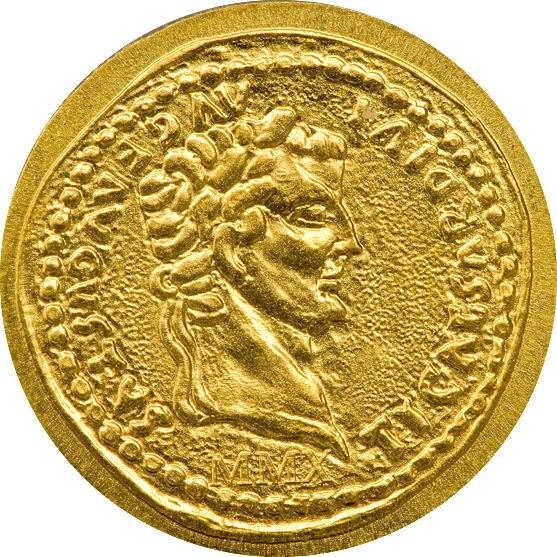 An Aureus with the image of Emperor Caligula. 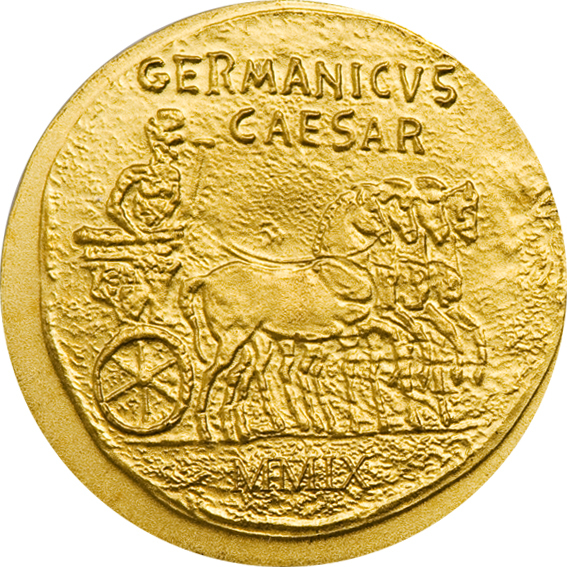 The circumscription on the coin says C CAESAR AVG GERM P M TR POT. (Gaius Caesar Augustus Germanicus Pontifex Maximus, appointed the Tribunes authority). Under the nickname “little soldier’s boot” the Emperor went down in history only after his death. 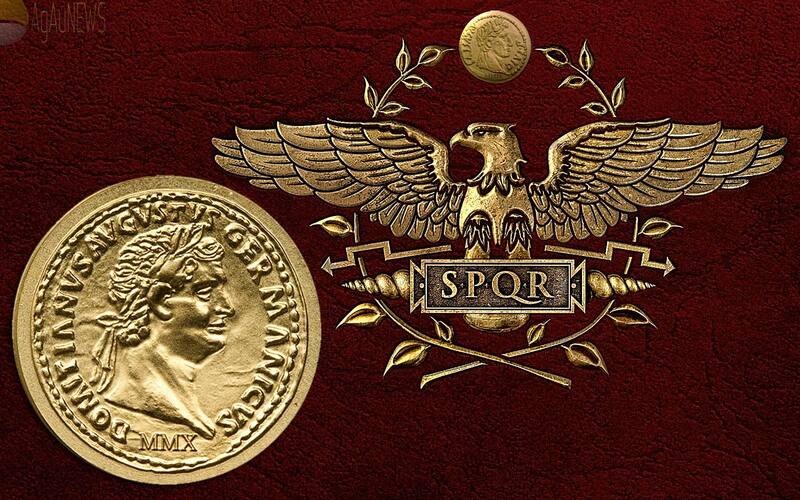 His Emperors name during his lifetime was Gaius Julius Caesar Augustus Germanicus. He reigned from 37-41 AD and built up his power based on the Praetorian Guard. Traditional are his arranged bloody gladiator fights and chariot races. After only four years he became a victim of a senate’s complot. 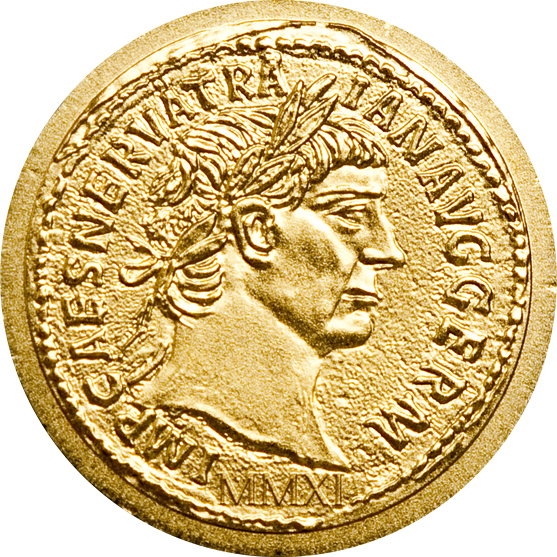 An Aureus with Emperor Nero’s distinctive face and the inscription NERO CAESAR AVGVSTVS. The historiography has varied descriptions for Nero who ruled from 54–68. On the one hand he reduced corn prices and organised chariot races which made him popular in the public eye. On the other hand, according to Christian readings of the medieval times, he was a tyrant and murderer who crucifi ed Christians using the false pretence that they set fire to Rome. Nero was interested in art and sports but neglected state affairs. In June 64, after total loss of power he stabbed himself to death during the flight from his rival the new Emperor Galba. An Aureus with Emperor Vespasian’s image and the inscription IMP.CAESAR VESPASIANVS.AVG. (Imperator Caesar Vespasianus Augustus). Because Vespasian, who ruled from 69–79, took over an almost bankrupt state, his main concern was to stabilise fi nances. He attained celebrity due to his statement about the urine tax, “pecunia non olet” – “Money does not stink”! He initialised the build of the Colosseum, the reconstruction of the Capitol which was destroyed in the civil war in 69 as well as the upgrading of roads and bridges in the provinces. 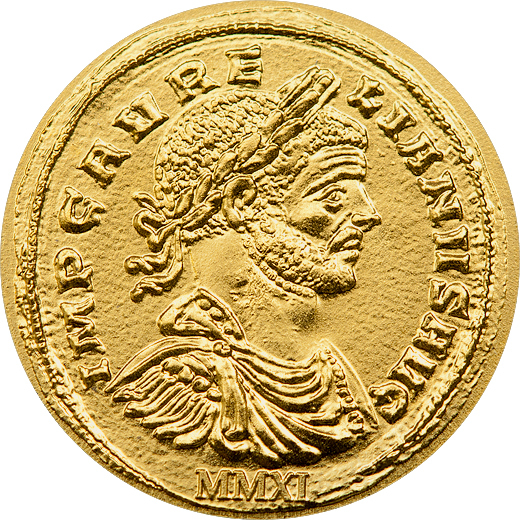 An Aureus, minted under Emperor Titus, provided with the inscription IMP. TITVS CAES. 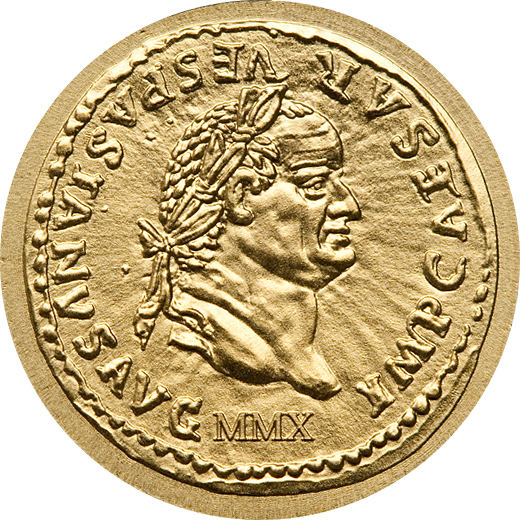 VESPASIAN AVG. PM (Emperor Titus Ceasar Vespasian Augustus Pontifex Maximus). From his father Titus obtained the supreme command for the Judea legions in 69. One year later Titus conquered Jerusalem, destroyed the temple and brought the temple treasure to Rome. The Arch of Titus was built in his honour. In the year 79 Titus became Emperor. In the same year Pompeii was destroyed by the eruption of Mount Vesuvius. In the year 80 he completed the construction of the Colosseum. Its elaborate dedication, which among other things included mock naval battles in the fl ooded amphitheatre, lasted 100 days. Titus died shortly afterwards. 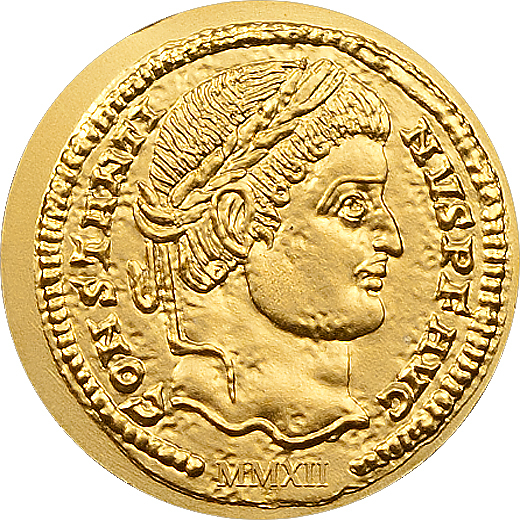 An Aureus with the image of Emperor Domitian, the second son of Emperor Vespasian. Domitian ruled from 81–96 as third and last Emperor of the Flavian dynasty. In the year 83 he conquered further regions in Germania and secured the new border with limes. On the occasion of his triumphal procession in Rome to celebrate the victory over the Germanics he called himself DOMITIANUS AVGVSTVS GERMANICUS. In honour of his brother Domitian he completed the construction of the Arch of Titus. His last reigning years were characterised by distrust and fear of a conspiracy. He was in fact deceitfully murdered by the trustee of his niece Domitilla. He died without a direct successor. An Aureus from the reign of Emperor Severus Alexander with an image of the Colosseum in Rome. The Colosseum was the biggest amphitheatre in Ancient Rome. 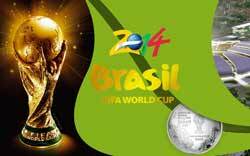 It was capable of seating more than 50’000 spectators and had 80 entrances. Construction of the four-storied building began under the rule of Emperor Vespasian in 72AD and was completed eight years later by his son Titus. The opening ceremony with gladiator- and animal fights lasted 100 days. Under the elliptical arena a network of cages, storage facilities and cloakrooms were situated. Today the Colosseum is no doubt the most famous landmark in Italy and is visited by more than three million tourists yearly. 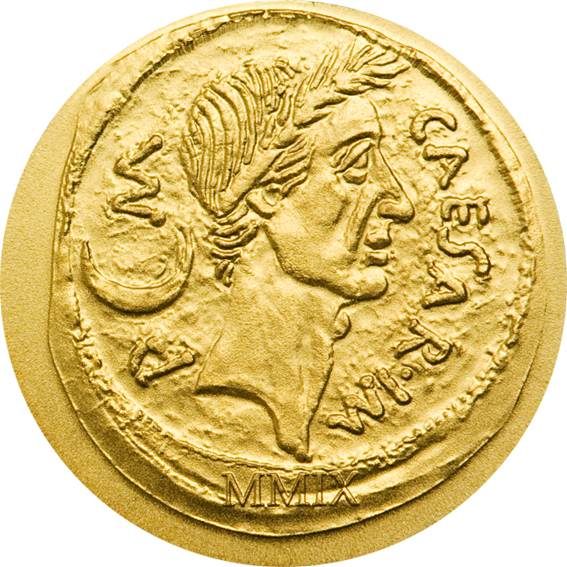 An Aureus of Emperor Trajan with the inscription IMP CAESAR NERVA TRAIAN AVG GERM. Trajan, who reigned from 98 until 117, was born in Spain and was therewith the first Roman Emperor from the province. In a conventional army career he succeeded in becoming an officer, consul and general. In the year 97, under the pressure of the senate and the army, he was selected by Emperor Nerva as his adoptive son and co-regent. After Nervas death he ruled the Roman Empire which, thanks to new conquests, reached its biggest expansion under his reign. With the war booty, especially from the campaign against the Dacians, he was able to finance magnificent buildings in Rome which still bear his name: the Trajan’s Forum and the famous Trajan’s Column. An Aureus with a picture of Emperor Hadrian and the inscription HADRIANUS AVG COS III PP. (Hadrianus Augustus, Consul for the third time, Father of the mother country). Hadrian who reigned from 117 up until 138 was Trajans distant relative who adopted him on his deathbed and therefore appointed him as his successor. As a sober strategist Hadrian refrained from his predecessors’ expansion policy and rather devoted himself to consolidation and frontier defence. He also maintained an extensive construction program with his main focus in Athens and Rome. Thus the Villa Hadrian, the Pantheon and the Mausoleum, today’s Castle Sant’Angelo, originated in the capital city. 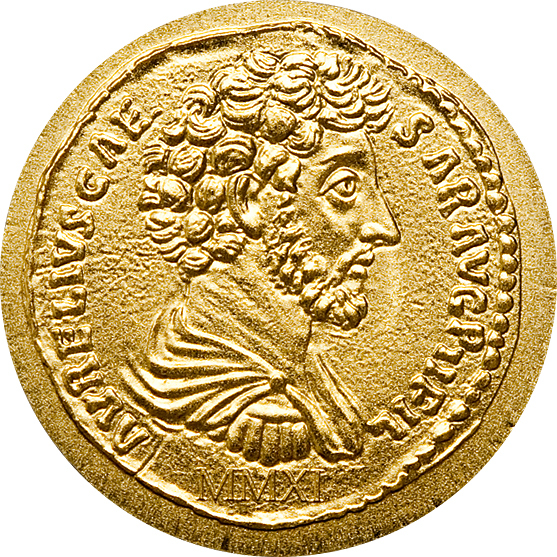 An Aureus of Emperor Marcus Aurelius with the inscription AVRELIVS CAES AVG PII FIL (Emperor Aurelius, son of Augustus Pius). Marcus Aurelius, who reigned from 161 up until 180, was also an adopted emperor, just like Trajan and Hadrian. With his reign a long time stability and florescence ended. A severe plague raged in the whole Empire and the attacks by the Teutons, Marcomanni and Parthians required enormous defending efforts in numerous military expeditions in which the Emperor personally took part. The equestrian statue on the Capitoline Hill in Rome still bears witness to this. Next to his achievements as a general Marcus Aurelius was especially known as a philosopher. He is regarded as the last great representative of Stoicism and with his introspections, a collection of stoic quotations, he has made himself immortal. 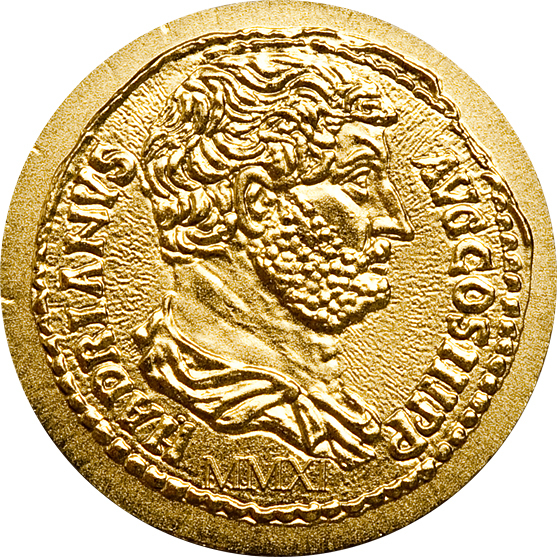 An Aureus from Lucius Septimius Severus. He was born in Libya and reined from 193 until 211. During this time new regulations for the army were mainly introduced. For the first time soldiers were allowed to get married during their period of service. Besides that, Septimius Severus rewarded his loyal troops very generously. He combated bribery successfully and thus cared for a general ease in the empire which also made him extremely popular with the population. He died in 211. His last words to his sons is said to be as follows: „Unite, enrich the soldiers and despise all others!“ The triumphal arch which was constructed by him is still on the Roman Forum to this very day. An Aureus from Marcus Antoninus, named Caracalla. He was Septimius Severus’s oldest son, was born in today’s Lyon, and was Roman Emperor from 211 until 217. His main interests lay in the army. He had not much time for politics and administration. His father wanted him to take over the reign together with his younger brother Geta. However Caracalla had him killed – he died in his mother’s arms. He couldn’t set aside the bad reputation which was brought on by this crime for the rest of his life. The Praetorian prefect, Marcus Macrinus, who also claimed the imperial honours, eventually organised the murder of the 29 year old Caracalla in 217. 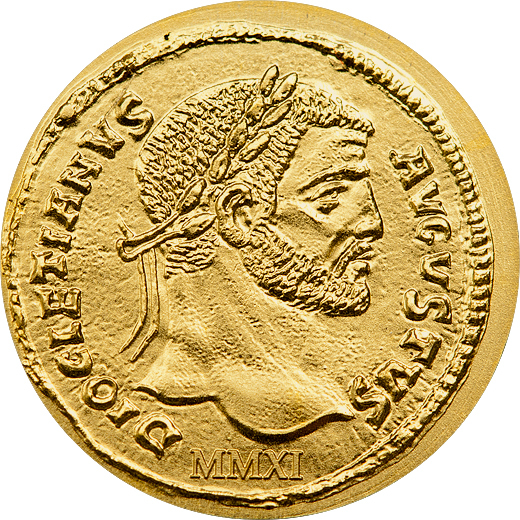 An Aureus from Lucius Aurelianus. Aurelian who was born in Pannonia, already practiced warfare at a very early stage of his life. From an excellent soldier he developed himself into an expert combatant. 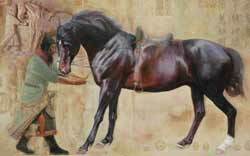 Before long he was assigned the High Command of the cavalry by Emperor Claudius Gothicus. When the pest afflicted the Emperor the reign was in fact endorsed to his younger brother Quintillus, but Quintillus was not able to hold steady against the highly respectable Aurelian for long. In the year 270 Lucius Aurelianus proclaimed himself Emperor. Through drastic changes he was able to help provide the weakening Empire with new hope again. After five years in reign Emperor Aurelian was murdered deceitfully. 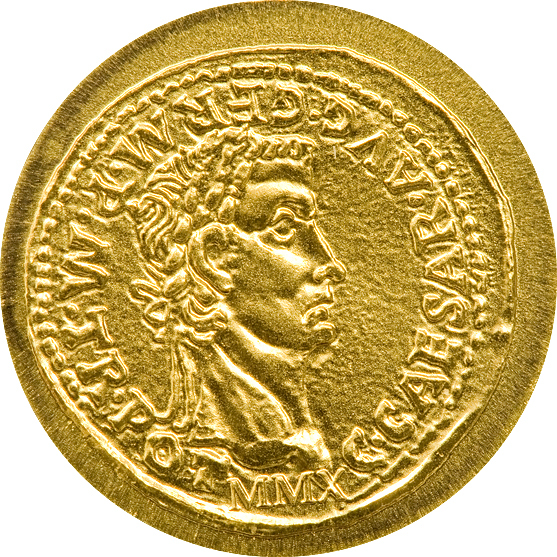 An Aureus from Gaius Valerius Diocletianus. After he had worked his way up to Commander-in-chief in the Imperial guard he was proclaimed Emperor in 284. Due to the many crises in the 3rd century Diocletian felt compelled to reinforce the Empires domestic policy as well as the foreign policy. In order to influence his power in the whole Empire better he divided it into administrative districts with own sub-emperors. This organization collapsed after his resignation in 305. Still during his reign Diocletian let be constructed the Baths of Diocletian in Rome and the Diocletian’s Palace in the historic district of Split. From the numerous Roman Emperors he was the only one who voluntary parted from the claim to power. 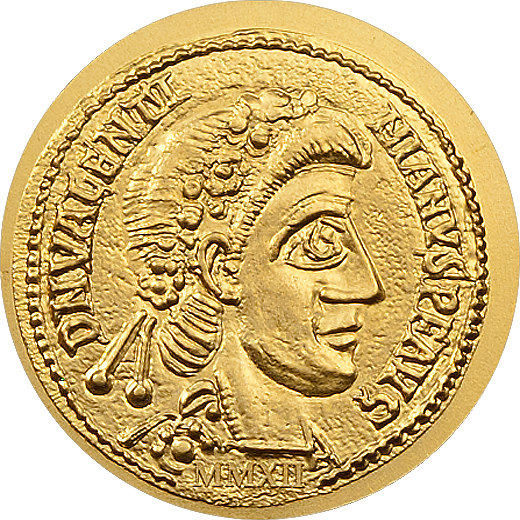 A solidus of Constantine the Great. Constantine who was born in the city of Naissus in about 280 A.D., todays Serbia, replaced the aureus with the lighter solidus during his reign from 306-337. Before long, this new Roman currency was also used outside the realms of the Empire. Constantine was not only clever in dealing with the army and political matters, he also knew how to make the most of all propaganda opportunities. There were many drastic changes in the structure of the Roman Empire during his reign. The system of tetrarchy was abandoned once again, in order to facilitate autocratic rule. The development of Byzantium into an Imperial city, which the Emperor appropriately named Constantinople also, began around the year 330. 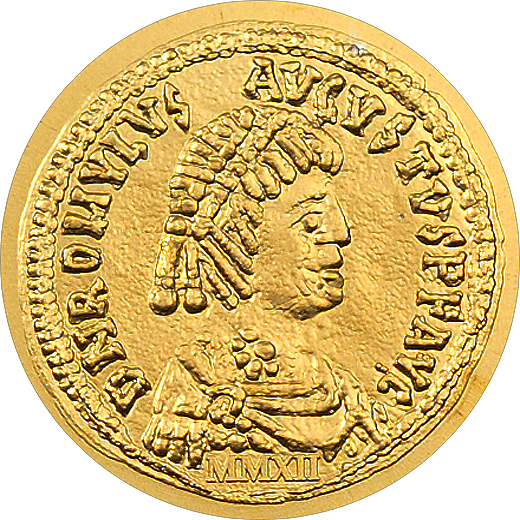 A solidus of Theodosius I. The last ruler of a united Roman Empire was born to a rich family in Cauca, Spain in the year 347. For Theodosius the simple army life was just as comfortable as the life of luxury at court. During his reign from 379-395 he supported Christianity but always maintained his authority over the bishops. Therefore, before long, church officials gave him the titel of “Theodosius the Great”. Although he was only able to delay the collapse of the empire and not prevent it, Theodosius I can be considered the most significant Emperor of the late 4th century. 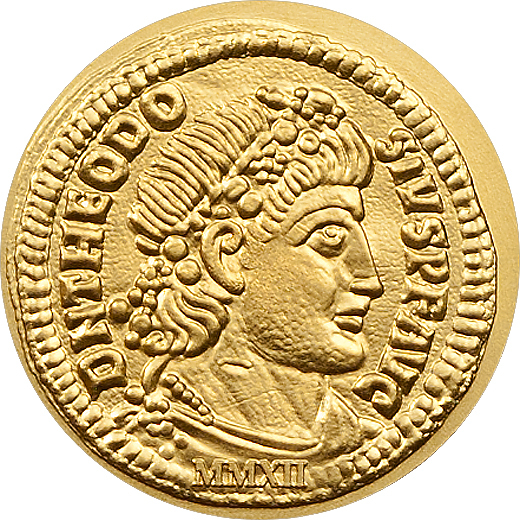 A solidus of Valentinian III. In order to secure the Theodosian dynasty, the only 6 year-old boy Valentinian was appointed Emperor of the Western Roman Empire. During his thirty-years reign he always strived to preserve peace with the Eastern Roman Empire. 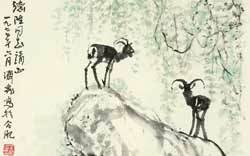 However, the Emperor was extremely challenged during the period of upheaval and migration. In spite of the historically significant victory over Attila the Hun in the battle of the Catalonian Plains in the year 451, Valentinian III was unable to stabilise his Empire. A solidus of Romulus Augustulus. The last Western Roman Emperor was proclaimed ruler on October 31, 475 when he was very young. Therefore, he was given the Nickname “Augustulus“ or “the Little Emperor”. Only one year after his accession to the throne the Germanic general Odoaker removed the teenager and banished him to an estate near Naples. This spared him a violent death. 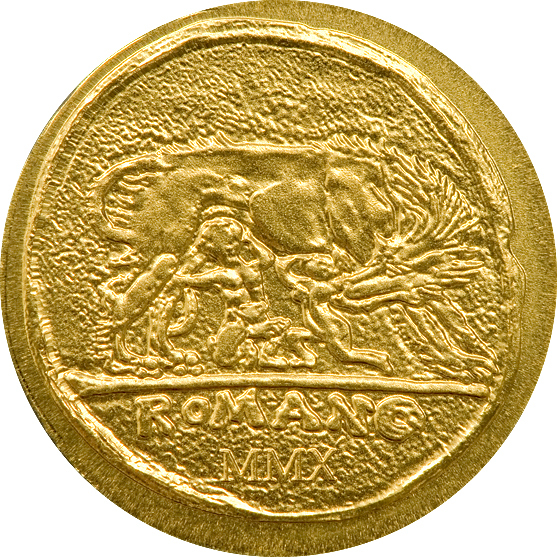 The history of the Western Roman Empire ended with Romulus Augustus in the year 476 and with it, this series of the famous Roman gold coins. A tale of two halves on the presentation front. The individual coins shipped in just a capsule with a certificate, much like most of CIT’s output until quite recently. If you want to collect a set, or even just a half set, there is a collectors box designed just for that purpose. 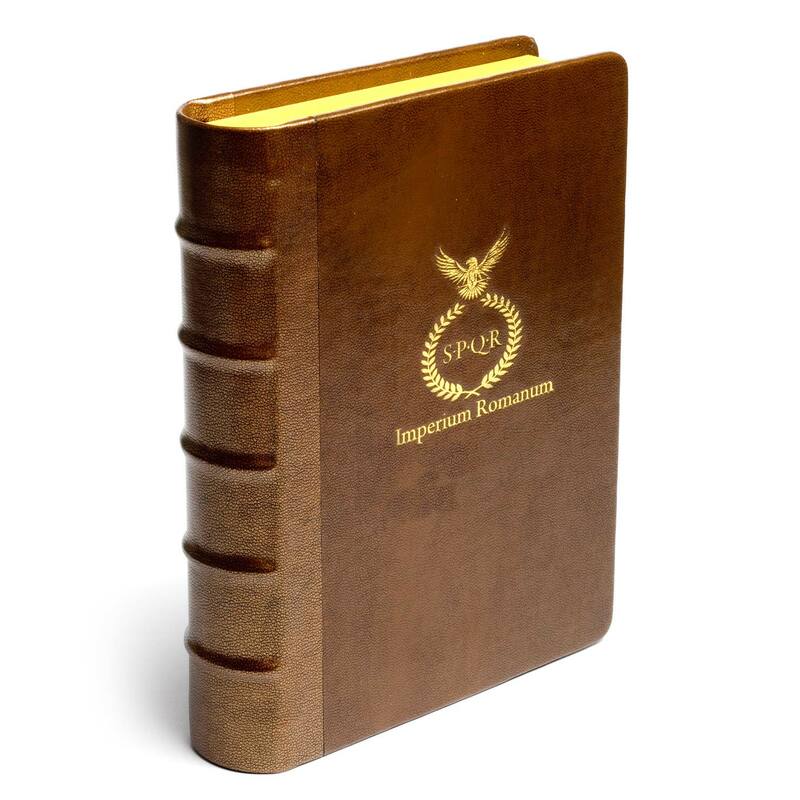 Looking like a leather-bound book and emblazoned with a gilded emblem on the front, it includes two 12-coin layers that hold the encapsulated coins in place. Certificates can ba placed in the lid. We’ve seen these for sale for a reasonable €25.